Dogs, cats and any other pets of all sizes are welcomed warmly at Hotel Lido Siofok, in all of our rooms! Pets may enjoy the property, but a swim in the lake is not permitted by the state. We are the perfect alternative to pet friendly hotels in Siofok. The pet lodging fee is EUR 5 per dog per night. Your pet must be sociable, and be current on vaccinations and flea/tick prevention. 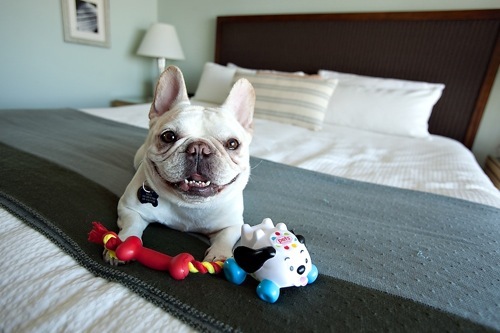 You may not leave your pet alone in room in case it may bother other guests with its scratching or barking. Please note that pets and dogs may not use our garden and beach for urination purposes and all damages made by your pet must be paid for. It is against the law of Hungary to have your pet bathing in Lake Balaton.